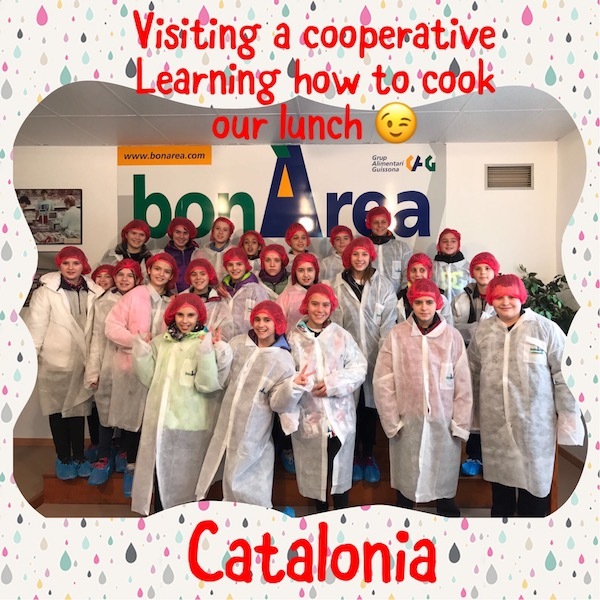 We visited a cooperative called We travelled to Guissona ( Lleida) to visit a cooperative called "GAG, it means "Grup Alimentari de Guissona". Edgar's dad, works in the cooperative placed in Sallent. He invited us to visit the main company placed in Guissona. We travelled by bus and when we arrived there, Marc, the factory's guide, showed us the different places of the factory. chicken slaughterhouse ( we could not come inside), but we could see how the workers made the hamburguers and sausages... It was smelly! We could also see thousands of bricks of milk stored in the factory, ready to be send to the shops. technology helps the workers a lot. We also got on a train to go on a tour around the big factory. Finally we visited the fruit room whcih was stored in big plastic boxes. Higiene and healthy rules are strict , so we had to put on a white coat, plastic shoes and a palstic hat. We had luch ina "Bon Area" buffet, but do you know that we had to cook our food there? it was really fun! All the visit was amazing and very interesting! 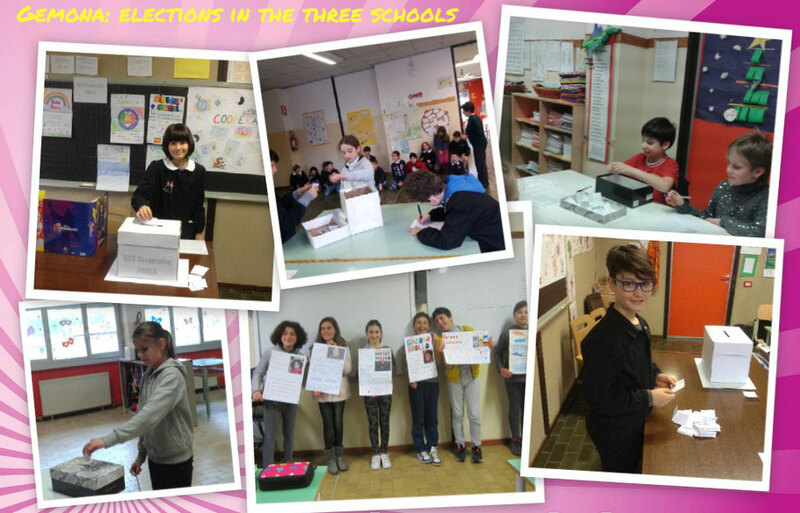 As a result of the campaign and elections held in the three primary schools of Gemona's Institute (4th and 5th graders only), finally we have our local C.d.A. Yesterday they had their first meeting and voted the local President, Secretary and Accountant. 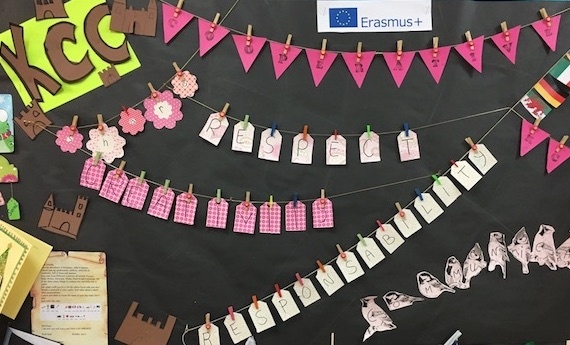 They also discussed how to support the project actions in their classes and schools: the dance rehearsals, the Logo creation, the Telling the Castle activities. 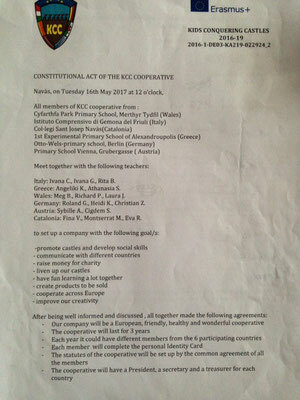 They are very involved and well conscious that they represent all their school mates, the KCC cooperative associates. 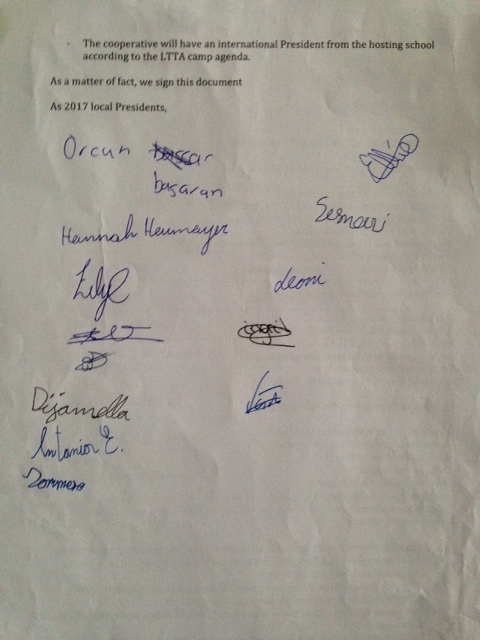 Congratulations and good luck for their work! In Greece, we made our first steps to Entrepreneurship introducing to our pupils what the words Cooperative and Entrepreneurship mean. We invited also Theologis' mother, who is an entrepreneur, to talk to us and introduce us this unkown world. 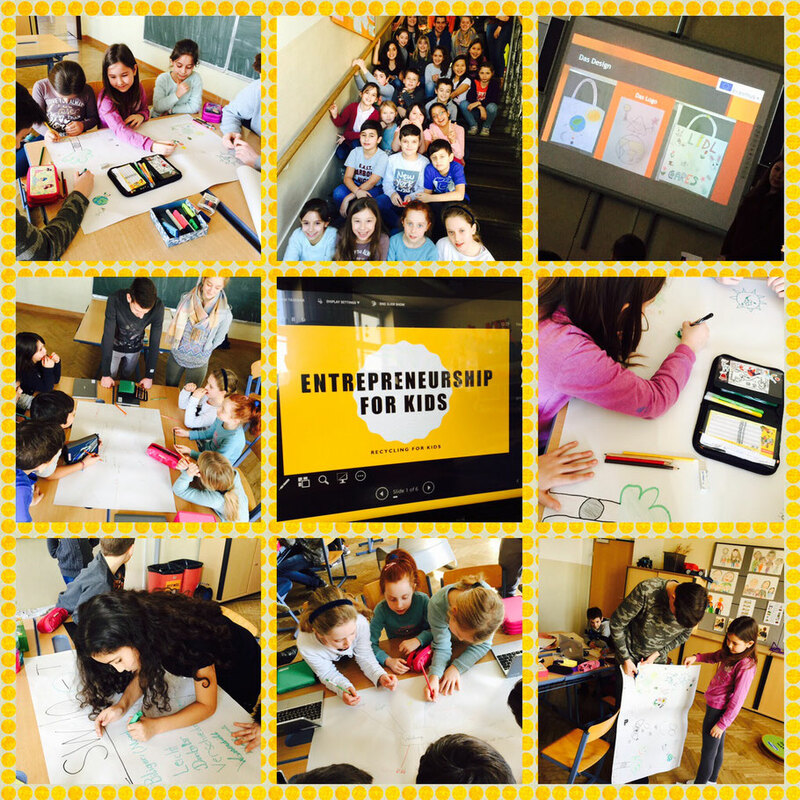 We managed by her guidness to distinguish the characterstics and advantages that a good entrepreneur should have. 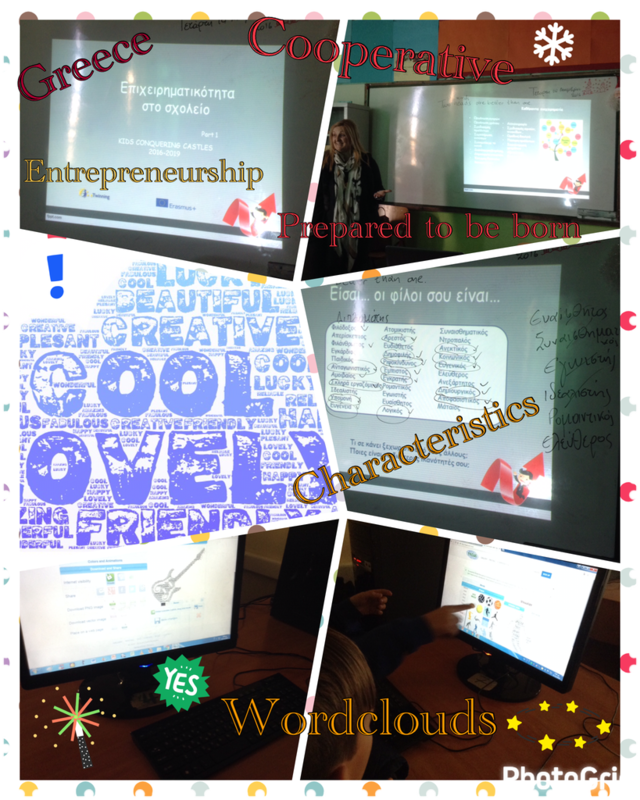 We even try to make our wordclouds with all these characteristics!!! 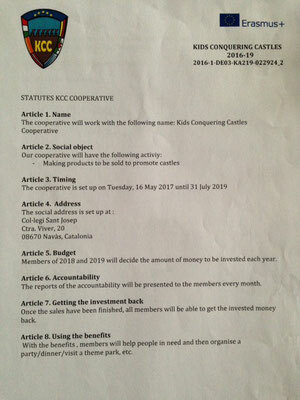 ITALY: Cooperative in motion... Guided by a COOP expert, classes 4 and 5 are engaged in practical labs, where students experience and think on the deeper meaning of COOPERATION. That’s important! 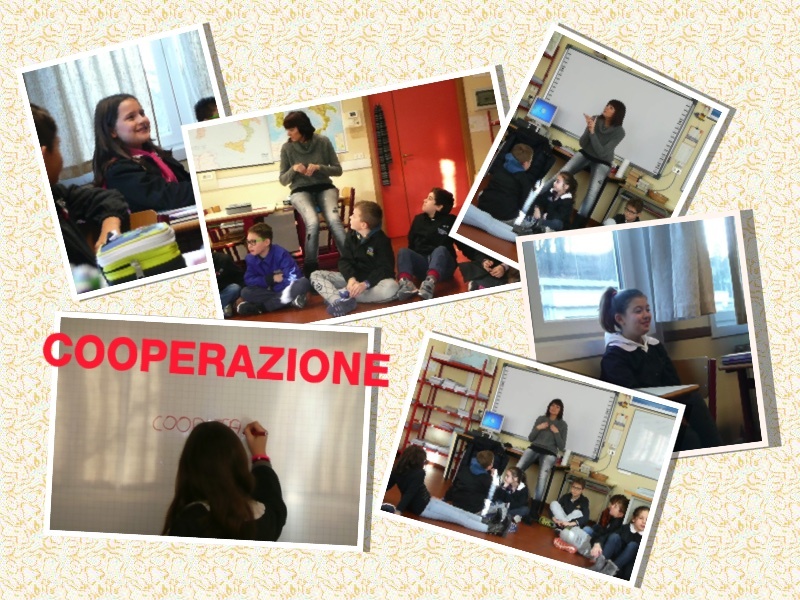 Step by step we will learn the most important clues to set up a cooperative. Here are some examples of material we can use to introduce some of the most important values to our kids before creating the cooperative. Have you ever thought what are the most important tasks an enterprise or a cooperative need to be succesful? Here they are, comment them with your partners. 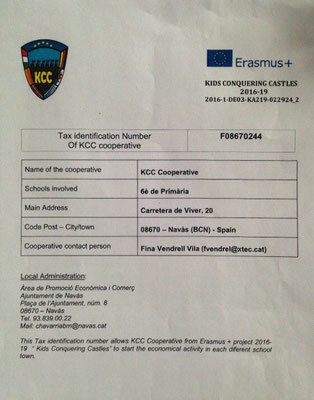 First of all, we will create a map of the participant countries of our cooperative. Each member of a cooperative is essential, because all of them are part of a jigsaw, so that each piece of the jigsaw is necessary to complete it. That is why it is very important to know each other, and what is more, to know yourself and discover which are our most relevant attitudes. We invite you to create a word cloud using the words of the attitudes and values that describe yourself. And now, it is time to create our identity cards in order to have an official list of all the members who take part in our KCC cooperative. DO YOU KNOW WHAT DOES "TEAM WORK " MEAN? SURE YES! You know it is one of the most relevant values a cooperative needs. Talk with your partners which are the advangages and disadvantages. Have you ever experienced some conflicts while you are working with your team? what do you usually do?